Friends, family, colleagues, people with money to spare……. I will be running through downtown Oklahoma City this Valentines Day in my undies. Yes, you read that right, but it’s for a good cause! The Cupid’s Undie Run will be taking place Feb. 14 to raise support and awareness for Neurofibromatosis (NF), a genetic disorder that causes severe tumor growth all over the nervous system as well as blindness, deafness, learning disabilities and chronic pain. NF affects mostly children, but only because there is no cure and few treatment options, meaning people with the disorder rarely see adulthood. Everyone who signs up to run a mile in their undies (rain, snow, sleet or shine) is asked to raise money. 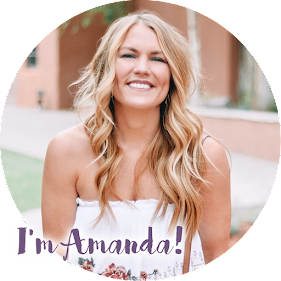 I have set a personal goal of raising $500 by Feb. 14 and need your help to reach it! As I write this post, I'm only $35 away. Every $1, $5 and $10 donation helps. It helps #EndNF and it also helps me earn cool swag like a t-shirt, the official "I'm With Cupid" undies, an open bar tab on race day, or a plush, fuzzy robe. You can donate at http://my.cupids.org/abradley15. You can even sign up to run with me, if you’d like! Proceeds go to the Children’s Tumor Foundation. 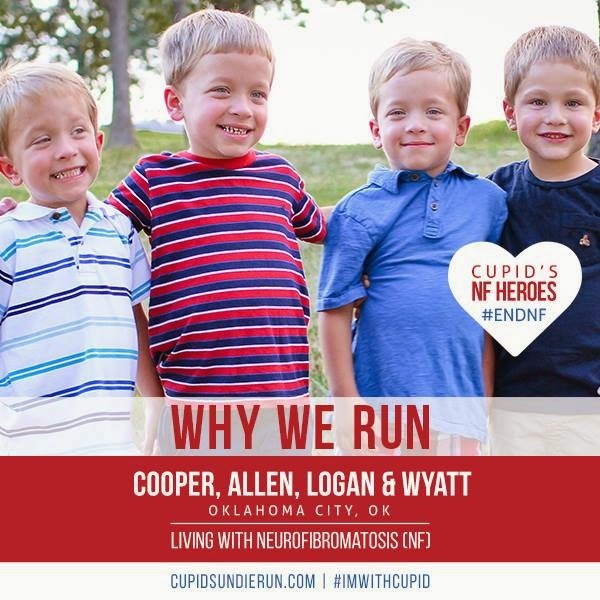 Now, let me introduce you to Oklahoma City's NF Heroes, Cooper, Allen, Logan and Wyatt. The quadruplets reside in Oklahoma and three of the four have NF. They are the reason why we run. Don't they melt your heart? Please consider making a tax-deductible donation and help #EndNF. If not, please disregard this blog post. I won’t hold it against you.